The head of the Worcester Housing Authority says residents must work (or go to school) if they want to stay. 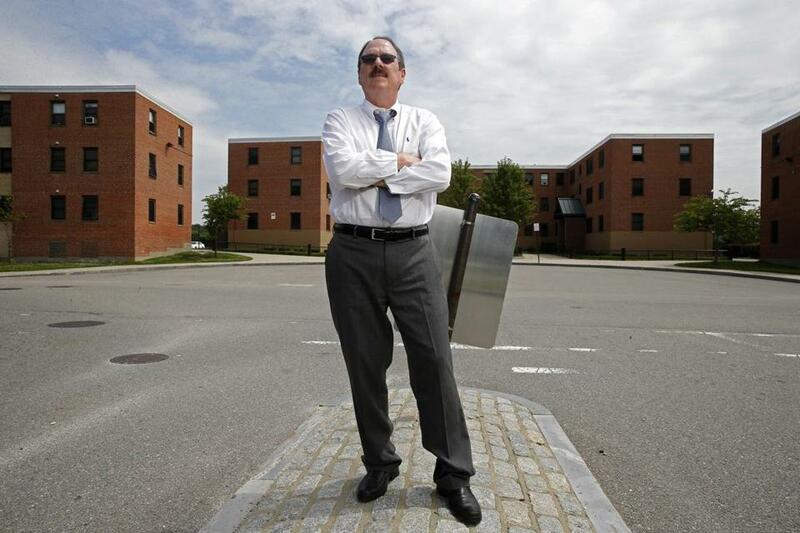 Ray Mariano, head of Worcester public housing, outside Curtis Apartments, where he spent some of his childhood. This is a story Mariano, a four-term former mayor of Worcester and today the executive director of the Worcester Housing Authority (WHA), has told in public before, and it always ends the same way: “I guess his father was right” about staying in the projects, he says with a chuckle. “The only difference is, now I have the keys to all the apartments.” What Mariano doesn’t usually add is that the walk to his friend’s house felt like 10 minutes, but the walk home, his face burning with shame, felt like 10 hours. “It was about as humiliating an experience as you can imagine,” he says. Over the years, run-ins like that gave Mariano a chip on his shoulder, he admits — “a big one.” But a half century later, they are also having a significant butterfly effect: Those memories helped inform a WHA policy that the 64-year-old Mariano recently introduced and that Lieutenant Governor Karyn Polito has vowed the Baker administration will take statewide. It’s called A Better Life, and Mariano rolled out its latest — and most forceful — version in May at a press conference attended by Polito, state housing secretary Jay Ash, and other political heavyweights. Like test programs in other cities across the United States, A Better Life, or ABL, provides support to public housing residents to go to school or work, get their driver’s license, learn English, and more. But there’s something different about ABL, too, and it’s something big: It requires at least one adult from each of the WHA’s 393 state-subsidized family public housing apartments to either work 1,200 hours a year (about 23 a week) or attend school full time . If they don’t get with the program, they’ll be asked to get out. There are exceptions. Residents can combine work and school. Disabled residents and those over 55 — populations that make up 60 percent of Worcester public housing — are also exempt. Single parents are not, and must arrange their own daycare, though some will get state vouchers to help pay for it. Any residents who don’t meet those exemptions and don’t comply with ABL’s requirements risk being evicted. 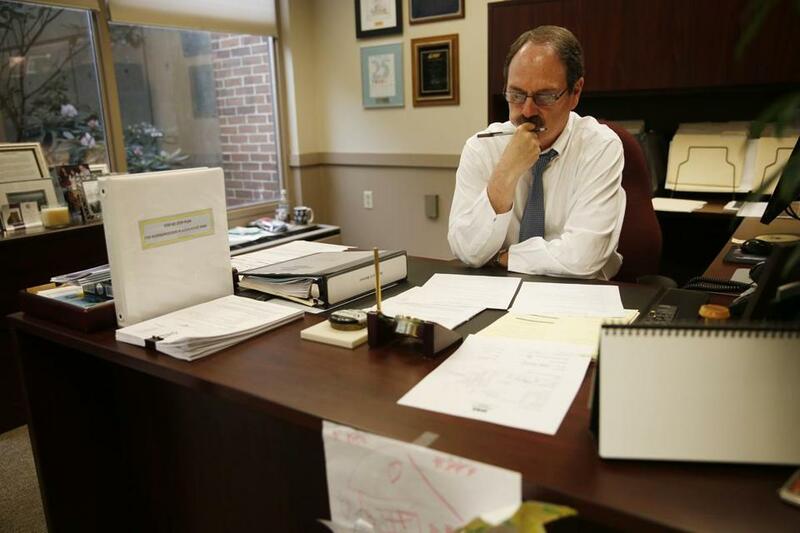 Mariano in his housing authority office, where he oversees more than 6,600 units on 24 properties. Public housing got its start as a concept in the United States in 1934 as part of Franklin Delano Roosevelt’s New Deal; by 1937, it was made a reality through the Wagner-Steagall Housing Act, which allotted $500 million in loans for building projects in urban areas across the country. Massachusetts got involved in the 1940s, constructing housing for veterans returning from World War II. That’s why Ray Mariano’s story begins in Worcester’s projects. After 20 years in public housing, Mariano’s family moved to “affordable housing,” which he describes as merely “half a step up.” But all of his siblings eventually went on to successful careers, starting families and buying their own homes. Mariano’s success was the most public. As a lifelong liberal in heavily Democratic Worcester, he was a popular enough mayor that he became the only one in the city’s history to serve four consecutive two-year terms, from 1993 to 2001. He then spent two years working as a marketing and business consultant. By 2003, Mariano was back in public life, having been named head of the housing authority, which oversees 24 properties with more than 6,600 units (split between public housing and leased apartments covered by Section 8 and other voucher programs). He and his wife, Antonia, a public school teacher, live near Indian Lake and have three grown children. Looking back, Mariano says his parents and grandparents were the role models for hard work and personal responsibility that helped him and his siblings get where they are today. When he started at the WHA in 2003, his priority was to clean up the projects. A great believer in the broken-windows theory of urban renewal, he added police details and made sure his custodial staff caught up on work orders. “When I got here, we had abandoned cars, sofas, garbage all over the place, graffiti, and crime out of control,” he says. “I would go out with the police at ten, eleven, midnight, and we would run out of handcuffs.” He recalls as many as six arrests a night, almost always of non-tenants. “People said, ‘You can’t do that.’ I said, ‘Guess what? Call anybody you want. I’m going to make this place nice.’ ” Over time, he says, the changes helped cut overall crime by 60 percent. Even today, Mariano walks the halls of his buildings with colleagues and tenant leaders once a month. But he’s always had higher ambitions than merely spiffing up the infrastructure. To try to break the cycle of dependence that he says public housing policy encourages, he beefed up the school-work program, adding, among other things, credit counseling, savings encouragement, job-search help, and parenting workshops. By 2011, the various components came together in A Better Life. Eventually Mariano decided the only way to get tenants to agree to enter A Better Life was to require it. Last fall, the US Department of Housing and Urban Development approved his request to enforce that mandate for the WHA’s 2,607 federally funded apartments. But months after approval and hours after the program’s official launch, the agency reversed course, saying Worcester lacked a necessary pilot-initiative designation. The federal apartments were suddenly off the table. Mariano may not always sound like a liberal, but he counts plenty of supporters on both sides of the aisle. That includes not only Republicans in the Baker administration, but also prominent Democrats such as Senate President Stanley Rosenberg of Northampton, Senate President Pro Tem Marc Pacheco of Taunton, and Senate Majority Leader Harriette Chandler of Worcester. To answer those kinds of concerns, Mariano points to his successes. About 36 percent of ABL participants were employed when they entered the program; that number has now doubled. The percentage of those going to school has nearly tripled. Several graduates have moved out of the projects and into homes of their own.